Creative “four elements” wallpaper by CrisVector aka Cristiano Siqueira, a vector artist and illustrator from Sao Paulo, Brazil. Cris Vector is one of the most popular graphic designers in the creative vector community and works for brands all over the world. 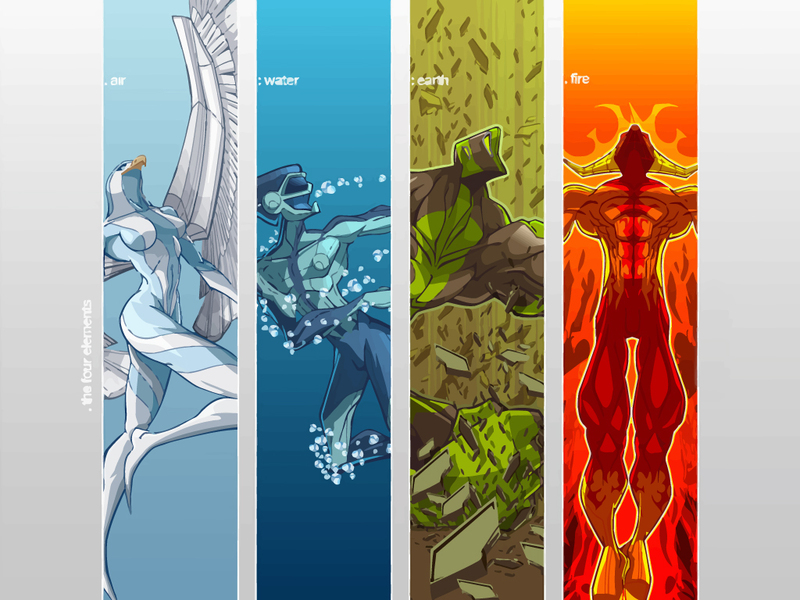 Download Water, Air, Earth and Fire wallpaper. © CrisVector - Cristiano Siqueira. All rights reserved.